A naturalized citizen living in Portland, Oregon, has been charged with one count of conspiracy to provide material support to terrorists. The charge is related to the May 2009 bombing that killed 30 people at Pakistan's intelligence headquarters in Lahore, said Amanda Marshall, the U.S. Attorney for the District of Oregon. Reaz Qadir Khan, 48, faces life in prison if convicted. According to the indictment, Khan provided money and advice to Ali Jaleel, who was one of the suicide bombers in the attack. 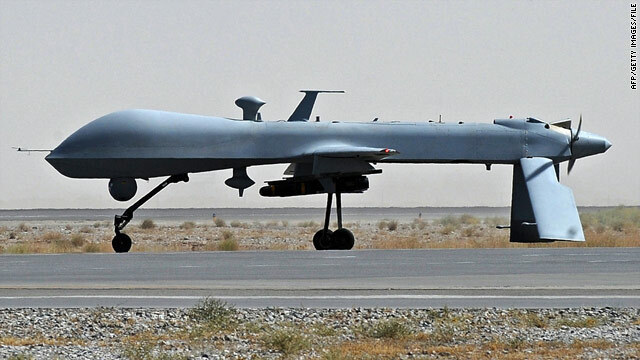 Attorney General Eric Holder Tuesday stopped short of entirely ruling out a drone strike against an American citizen on U.S. soil—without trial. Holder’s comment came in a letter to Sen. Rand Paul. Paul had sent a letter to President Obama’s CIA director nominee John Brennan asking for the administration’s views on the president’s power to authorize lethal force. In a separate letter, Brennan told Paul that the CIA has no such authority. The nomination passed its first hurdle Tuesday with the Senate intelligence committee voting to approve the nomination in a 12-3 vote. Republican Senator Saxby Chambliss of Georgia said he voted against the nomination because of inconsistencies in Brennan's testimony. Earlier in the day, the White House agreed to provide legal documents written by Justice Department officials explaining the legal rationale for targeting Americans overseas who are involved in terror-related activities that threatened America or American interests. Severe sanctions against Iran are not working, the top U.S. commander in the Middle East says. Gen. James Mattis of Central Command made the statement at a Senate Armed Services Committee hearing on Tuesday. "In your professional opinion, are the current diplomatic and economic efforts to stop Iran from obtaining nuclear weapons capability - are they working?" Sen. James Inhofe, an Oklahoma Republican, asked. Mattis later told Sen. Lindsey Graham, a South Carolina Republican, that Iran's "nuclear industry continues." "I think we have to continue sanctions, but have other options ready," Mattis replied. The top U.S. commander for the Afghanistan-Pakistan region has recommended to President Obama that 13,600 American troops stay in Afghanistan after 2014, a number that is potentially higher than what the administration wants to leave in the country. At a NATO meeting in February, then-Secretary of Defense Leon Panetta said up to 12,000 troops could stay behind, but not all of those would be American troops necessarily. 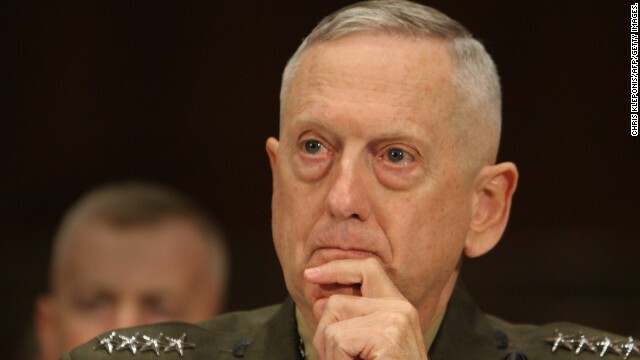 But Gen. James Mattis, head of the U.S. Central Command, revealed the new recommendation to the Senate Armed Service Committee on Tuesday at a hearing. Under an agreement between the Afghan government and NATO, the bulk of U.S. and NATO combat forces are to be out of Afghanistan by the end of 2014. What remains to be decided is how many troops may remain to help train Afghan forces. Mattis also said he believes about 7,000 non-U.S. troops from the NATO alliance could also remain. The White House has agreed to provide senators sitting on the intelligence committee with additional legal opinions related to targeted killings of Americans, the chair of the committee said Tuesday. The White House had already provided some information regarding the justification to Congress. The agreement could help assuage some senators’ concerns raised about the targeting killing program and the involvement of CIA Director-nominee John Brennan. “I am pleased the administration has made this information available. It is important for the committee to do its work and will pave the way for the confirmation of John Brennan to be CIA director,” Feinstein said in a statement. The committee is expected to vote on the Brennan nomination this afternoon. But Brennan’s nomination is still being challenged by several Republicans seeking other answers from the White House. Sen. Rand Paul (R-KY) is demanding the White House respond to whether it would ever seek to use its targeted killing program to go after Americans within the U.S. Sen. Lindsey Graham (R-SC) is demanding further answers on the administration response to the attack in Benghazi. Both have threatened to block the nomination. Don't look for the United States to send weapons to Syrian rebels any time soon, Secretary of State John Kerry said Tuesday in a CNN interview on the last full day of his first international trip as the nation's top diplomat. Instead, President Barack Obama's administration will continue to provide non-lethal aid while other countries arm the rebels fighting to defeat forces loyal to President Bashar al-Assad in the two-year conflict that has claimed nearly 70,000 lives and left many areas of Syria in ruins. "The president always has options and always has the right to adjust a policy as he goes forward," Kerry said. "At the moment, this is the calibration the president believes is correct to try to give the opportunity for a diplomatic solution." "But the president has made it clear, as has every other country at the table, that we will not allow President Assad to slaughter his people and to continue to rain Scuds on innocent women and children and to literally destroy his country in the effort simply to hold onto power," Kerry said. 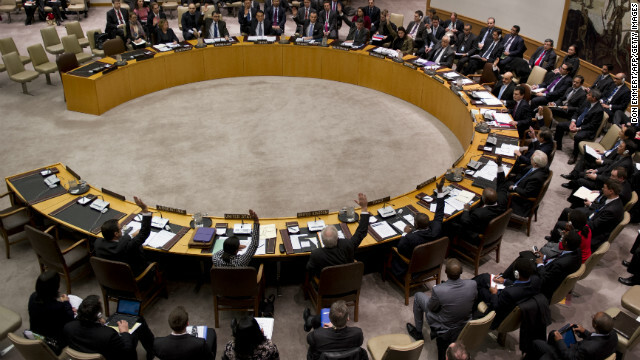 The U.N. Security Council is expected to meet Tuesday to consider a proposed resolution to authorize more sanctions against North Korea following the secretive regime's controversial nuclear test last month. Pyongyang said the underground nuclear blast it conducted on February 12 was more powerful than its two previous detonations and used a smaller, lighter device, suggesting advances in its weapons program. It was the first nuclear test the isolated state has carried out since its young leader, Kim Jong Un, inherited power in December 2011 after the death of his father, Kim Jong Il, who made building up North Korea's military strength the focus of his 17-year rule. Like the regime's previous tests in 2006 and 2009, the move prompted widespread international condemnation, as well as a promise of tough action at the United Nations. The United States and China, a key North Korean ally, have been negotiating for weeks on the wording of a proposed Security Council resolution.